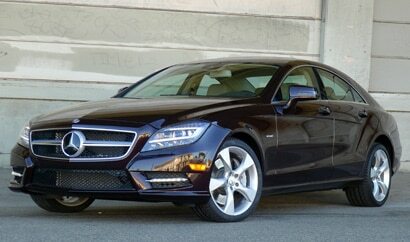 In short: A nimble and luxurious 4-door sports coupe. Striking in appearance and athletic in character, this long and luxurious 4-door sports car may be big, but it beats with the heart (and horsepower) of a racer. Featuring a sizable 4.8-liter twin-turbocharged V8 and sweeping lines that recall those of a coupe, the Mercedes-Benz CLS550 is much quicker than its large size seems to dictate, sprinting from 0-60 in just 5.1 seconds.